Its so simple! Drop off your soiled laundry. Our staff will separate each item by temperature, color and texture. We then will wash each load with a high- quality detergent. Your laundry is then dried and folded. WOW! How convenient. Ready for you to pick up . We also do delicates! For $2.69 per pound, we use extra care on your most delicate items to ensure that they last as long as possible and look great day after day. With our Wash and fold service we will wash it fold it ,and package it for you. Wash and Fold utilizes new high efficiency Machines. You can be assured that with our Wash and Fold Service, our expert staff will make sure that your clothes come back neatly folded, nice and clean and smelling fresh. 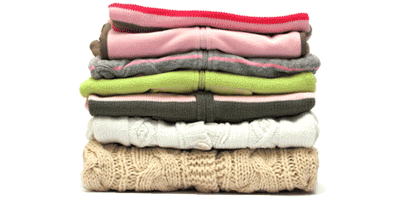 With Wash and fold all clothes are separated into white and colored loads and washed separately from everyone else's.